Readco Kurimoto LLC unveils a turnkey service approach. To help processors implement continuous processing effectively and easily, Readco Kurimoto LLC, unveils a turnkey service approach. With Readco Turnkey Services (RTS), the company offers to manage the design, engineering, testing, procurement, and installation of entire continuous processing lines, including upstream equipment from the storage silos, feeders, and pumps through to mixing, blending, and downstream to extrusion or cooling. Integrating controls for each element into a single, touch-screen panel for system-wide operation and monitoring, the RTS approach streamlines development of the continuous processing lines for faster installation and startup while ensuring the compatibility of all specified equipment, and that the end product meets target requirements. 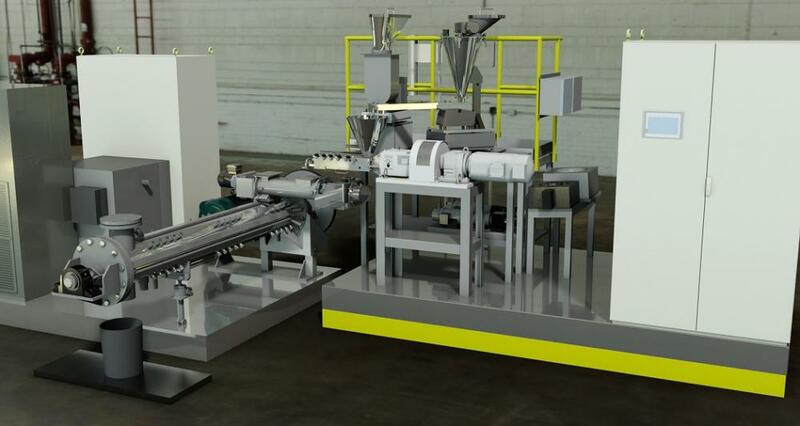 Devised to offer value-added access to the company's expertise in upgrading batch processing lines to continuous processing lines, the turnkey service approach is ideal for food, chemical, plastics, pharmaceutical, and other companies involved in mixing, blending, reacting, drying, crystallizing, and other solid-liquid processes. The Readco Turnkey Services approach is available with the company's entire line of continuous equipment.